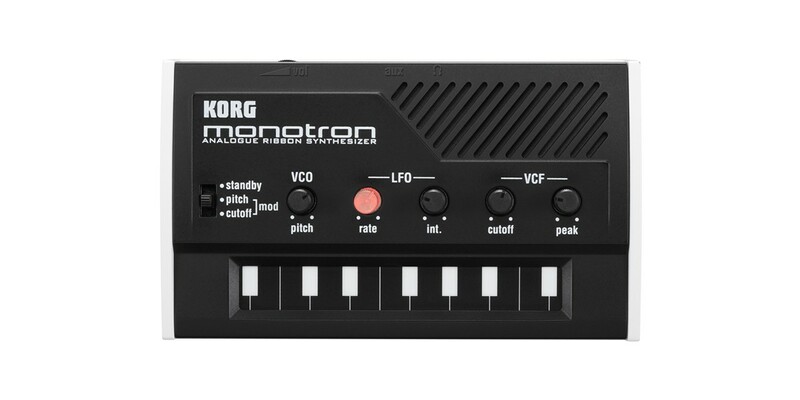 Powered by two alkaline AAA batteries, the compact monotron can be held in one hand. 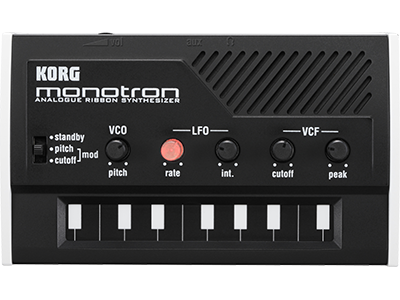 Although small enough to easily carry with you, the amazing monotron is packed with KORG&apos;s legendary analog technology, generating thick and powerful sounds. Concentrating on the most important sound parameters, the controls have been streamlined as much as possible. The panel contains only five knobs and one switch. With this level of simplicity, now anyone can easily enjoy the world of analog synthesizers. Full-fledged, true analog synthesizer: VCO, VCF, LFO. 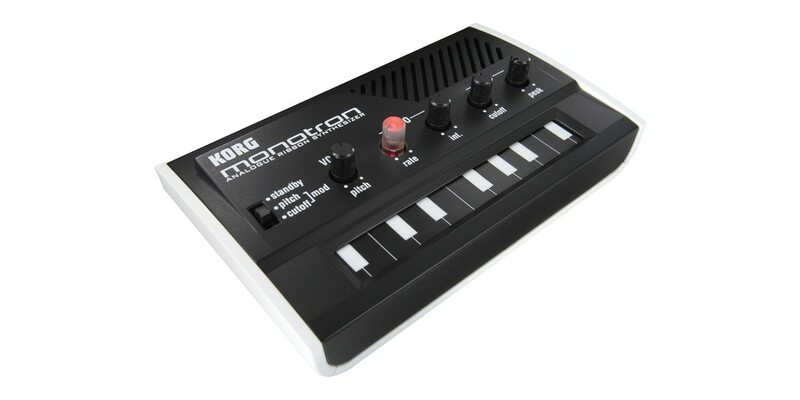 Features the same classic analog filter found in the legendary Korg MS-10 & MS-20. Filter any external source using the audio input jack. LFO can modulate either pitch of filter cutoff. Battery operation and palmtop size equals true portability.